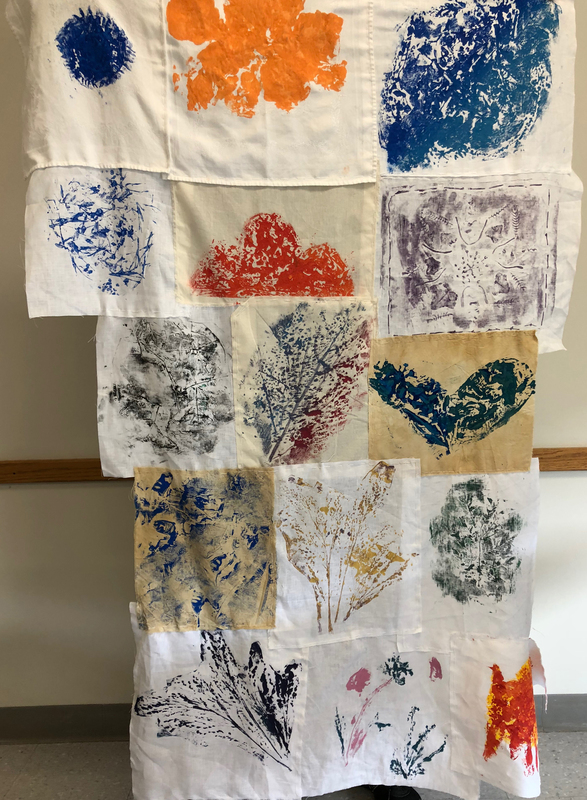 Pieced student collagraph prints on fabric. Prints with foraged plant materials on acorn-dyed and undyed fabrics. Pieced together by Iviva (Guest Artist) and displayed as banner in culminating exhibit. 9/15/2018. Bucknell University, Lewisburg, PA.